We at the Olsen Law Offices take all kinds of injury accidents seriously. Those injured in the greater San Diego area have true advocates in our team. We are especially helpful during litigation that involves serious motor vehicle collisions and injury auto accidents. 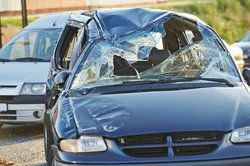 Speeding tends to be one of the most common factors that contributes to collisions, so we'd like to examine the matter in more detail right now. Speed limits are in place in order to ensure a proper flow of traffic and to prevent serious injuries from occurring. They are especially important to consider when in residential areas where children may be at play and areas that are near schools. Even on highways and major streets, speed limits are there to protect others on the road. Speeding increases the chances of auto accidents occurring, which includes collisions with another vehicle or multiple vehicles, or crashes that harm people who share the road (i.e., bicyclists, pedestrians). If you speed, you may not cause the accident itself, but you may wind up causing others around you to swerve or overreact, resulting in an accident. Many times when people speed, they tend to cut people off or swerve in order to maintain that higher rate of speed. Constant lane changes and a disregard for others sharing the road increases the likelihood of an auto accident occurring. Speeding can also increase the likelihood of tailgating behind another motorist, which can result in a serious rear-end collision. Studies have shown that male drivers are more likely to speed than female drivers, particularly younger male drivers. Teens may be letting the newfound freedom of a driver's license go to their heads, and many twentysomethings may feel like they have something to prove and engage in races and other risky behaviors. Whatever the case may be, younger male drivers do potentially pose a hazard to others. Related to the above, people who drive while drunk or under the influence of other controlled substances are more likely to speed and violate other kinds of traffic laws. This is why drunk driving is such a hazard to others on the road. If you are not totally sober, be sure to be responsible and avoid getting behind the wheel. It's also a good idea for you to look out for your friends who may have had too much to drink and make sure that they do not drive. If you or someone that you care about has been injured in an auto accident, be sure to contact our personal injury law firm today. The entire team here looks forward to your visit and helping you receive just compensation for serious injuries and other losses that were experienced.